Today was our final day of patient care. Not only was a day of mixed emotions given the fact that we’ll be heading home soon, but we had highs and lows concerning our patients at FAME. Thobias, or Toby, as his mother and now we call him also, had a single brief seizure last night, but looked like a million bucks this morning! It was such a pleasure to see him awake and chatty and engaging. He’s a lovely child and his mother has been incredibly patients with us. Our plan was to discharge him today if he looked well and indeed he did so we’ve arranged for him to be seen next weekend at our clinic near his home and then back to FAME in a month to check labs, etc. His mother thanked us this morning on rounds and perhaps the most telling thing she said was that when she brought him to us a week ago she never expected him to look as good as he did this morning in such a short time. She was thrilled. 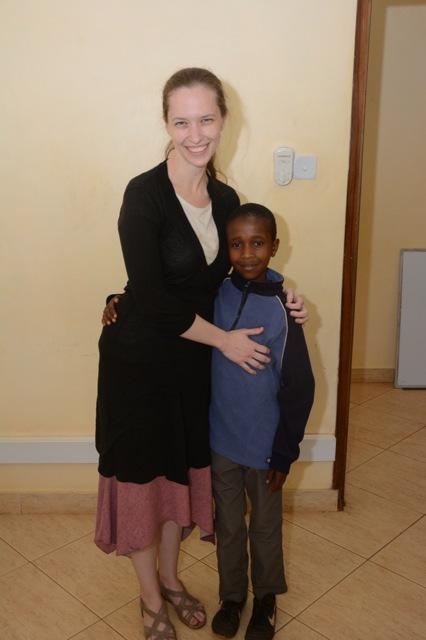 Here is a picture of Toby and his mom in the ward and then Toby and Megan right before they left for home. 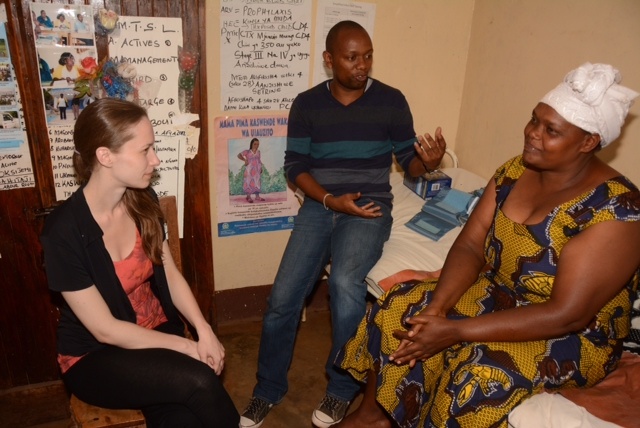 We were asked to see the niece of one of our clinic officers here, Dr. Isaac. It is his sister-in-law’s daughter who is eight months old and has been having seizures. 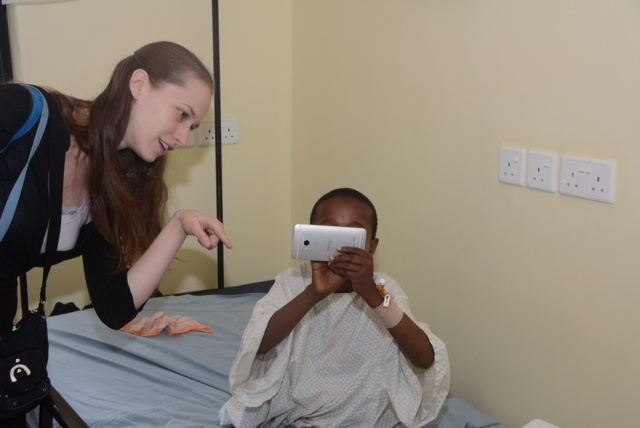 They had been seen at Kilimanjaro Christian Medical Center prior to seeing us and it didn’t take long to see that the baby had significant problems as she was having repetitive seizures in her mom’s arms that were likely infantile spasms. The baby’s neurological exam was significantly abnormal with hypotonia and probable cortical blindness and she was very small (<3rd %) suggesting that this was West syndrome. This is a disorder with a terrible prognosis and often develops into Lennox-Gastaut syndrome which is a terrible seizure disorder of multiple seizure types and injury. The baby had been started on valproic acid and at least we had something to offer as we probably have the only topiramate in the country here and could start her on that. Having to tell mom, who already had some inkling of the diagnosis the bad news was one of our low points for the day. While we were seeing the young baby and sent her off for labs, Dr. Mshana was seeing a young boy across the hall in another exam room whose family had brought him in and he was malnourished and apparently hypoglycemic. We weren’t involved in his care, but he was very ill and they moved him to the ward. After we were finished with our baby and I was walking across the courtyard to copy some records for them there were several women sitting and wailing. We weren’t sure what had happened, but found out that the little boy had died. It affected Megan greatly and as it was our time to say goodbye here it reminded both of us of how fragile the balance of life is here. We do what we can to benefit the people here, but there are still many that we cannot help and though we are saddened by that it cannot dissuade us from continuing our work. We had grilled cheese sandwiches and sliced tomatoes (not Megan who doesn’t like tomatoes) for dinner tonight. We had planned it that was, but it was perfect comfort food for a tough day. Tomorrow we tackle Ngorongoro Crater and will stay at FAME tomorrow night. It has been a remarkable visit to FAME overall and we say over 90 neurology patients in our time here which isn’t the largest number of patients I’ve seen, but they were all pure neurology which hasn’t been so in the past. Megan has been a star as I knew she would and she will leave her mark here as Danielle did in the past. I am already looking forward to my next visit in September when Danielle returns for an encore and hopefully we will have another here with us at the same time so there will be three neurologists practicing at FAME! We’ve had wonderful light shows off in the distance over the Lake Eyasi region or on the Crater Rim most every night. They are gorgeous when they are not right on top of you. Last night we have the heavens open up just after bedtime and continue through the night. The rain and wind that hit first, though, was absolutely amazing and very powerful. Anyone who knows me will not be shocked to know where I first went after it began….outside! Yes, in the middle of near hurricane (or is it typhoon over here?) strength winds, sideways rain and constant lightening I went out the back door and stood on our porch for more than half an hour. The lightening was so frequent that it was like daylight and I had no use for my torch. I finally climbed into bed and the storm continued. We had a few tree limbs down here and there, but overall there was no damage here other than some cleanup that was needed. We had our Friday morning lecture at 8am that was given by Liugi, our lovely Italian internist who is just a gem. He spoke on stroke surprisingly enough which was pretty ballsy considering he had two neurologists in the crowd. We promised not to heckle him. Thobias was doing great on rounds this morning as you can tell from the pictures attached. No seizures in over 24 hours (please knock on wood for me) and wide awake and alert. If he is doing well tomorrow we will likely discharge him to home. His smile today when he saw us was a sight for sore eyes. He had a great time with Megan’s smart phone as you can see here. Clinic today was mainly seeing some patients who were left over from Oldeani and Rift Valley Children’s Village last Saturday along with some local patients needing to be evaluated. One young girl and her mom traveled from the Loliondo district where I was last September which is at least 7 hours by private vehicle and longer by bus. I received a text from Eliza Hatch of Thomson Safari earlier today inviting us up to Gibb’s Farm for a drink this evening and a visit to Gibb’s is something I would never turn down. Eliza is working on a project with Thomson to build a dispensary in the Loliondo district and has consulted with me in the past and I have ideas of possibly using it as another site for our mobile clinics (which would be by air, though, and not driving) where we could provide training for the clinical officers there similar to what we are doing at FAME. They had the entire board of FOTZC (Focus on Tanzanian Communities – Thomson Safari’s non-profit building the dispensary) there so it was good to meet everyone. 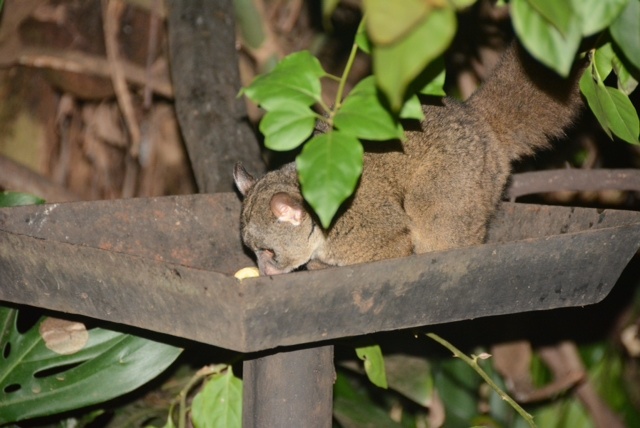 Megan even got to take a few photos of the bush baby there while I was talking business. Tomorrow is our last day in clinic and that is always sad for us. We’ll be here tomorrow night and then again on Sunday night after our Ngorongoro Crater safari on Sunday and we leave on Monday morning for Arusha with a short detour to Tarangire National Park on the way. 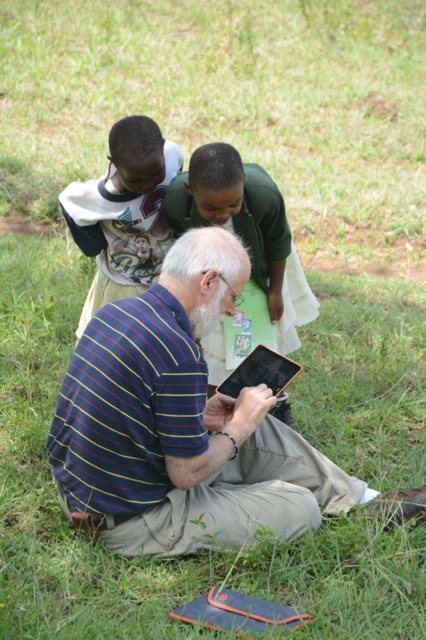 Spending time in East Africa in March requires that one keeps an open mind as far as your schedule is concerned. And that may be for many reasons. Weather at this time of the year is most often the biggest concern as the monsoons are right around the corner and the long rains begin to fall. Yesterday we managed to drive around quite a big storm, but on other occasions we haven’t been so lucky. 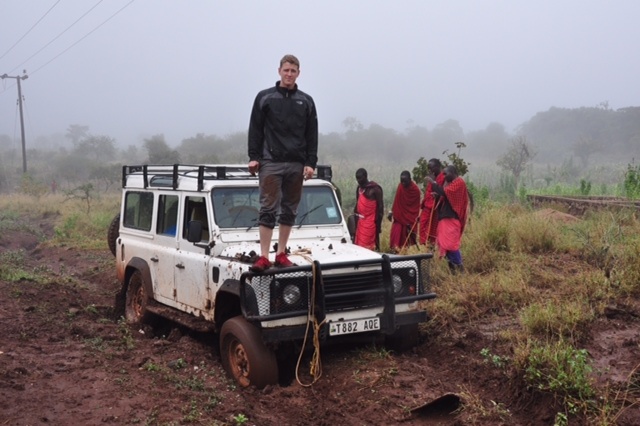 Two years ago while here in April I managed to bury my Land Rover to the axles while en route to mobile clinic. It took us three hours to dig out the vehicle and needless to say we didn’t make it to our clinic. That is why I now come in March. Another reason is that patients don’t always come to clinic when you plan for them or sometimes they may not be able to make it due to the difficulty of transportation. Our clinic in Upper Kitete left us with few patients to see there today so we scraped the mobile clinic originally scheduled and remained at FAME for the day. 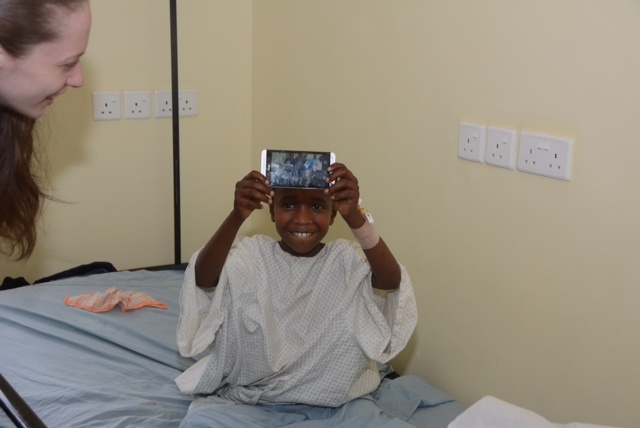 The good news is that it gave us plenty of time to spend on young Thobias, our seizure patient. Our morning began with an hour meeting with his mother. She had told the nurses that she wanted to take him home today and didn’t care if he had any more seizures. We were concerned that something was up and it turned out that she had another young son at home that she was worried about as her husband was an alcoholic and undependable and she didn’t have any family to leave him with. The other issue is that unbeknownst to us she hadn’t anything to eat for several days – she had brought a little bit of food with her and though FAME feeds the patients they do not usually feed the families who stay here (they are often quite large) and she hadn’t said anything to anyone nor had the nurses been aware of it. We were able to take care of simple issue of feeding her, but the other with her son was a bit more complex and took a bit of wrangling. 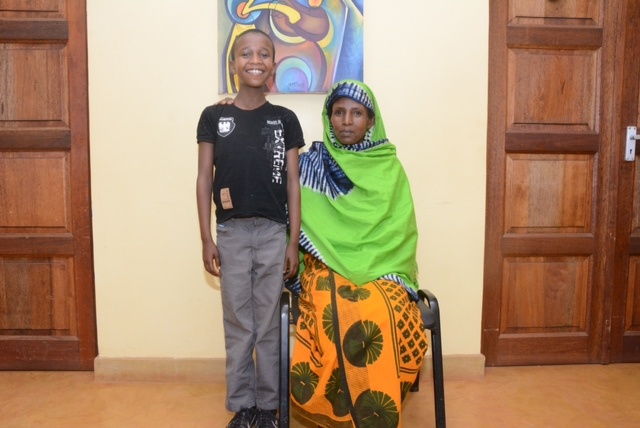 We were finally able to have someone from the Rift Valley Children’s Village come tomorrow to remain here with Thobias so she can go home for a few days to see her other son. That was all the non-medical aspects of his care. As for his seizures we decided today (with the input from his mother) that his seizures were more numerous on the medication we had started him on and so we had to switch gears and orally loaded him on valproate today as well as stopping his carbamazepine. We all have our fingers crossed at this point. The valproate will cost about 50 cents to a dollar per day which is more than any here can afford so we’ll have to figure out some way to cover the costs for them if it works. We’ll make it happen one way or another. We visited Daniel Tewa again this evening, but not for dinner. He is just a gem! On our way home we had the most amazing light show in three directions with lots of lightening illuminating all the wonderful clouds on the distance and a gorgeous sunset too boot. It’s been cool in the evenings with short rains in the afternoons and we’re hoping the weather holds for Sunday when we’re planning to go into the Crater on safari. We have two more days left here at FAME and we’ll be making the most of them. As this trip ends I am already looking forward to my September visit here and counting the days. We had some wonderful rains last night to fall asleep to accompanied by frequent lightening in the distant. The morning was clear and beautiful as we readied for another day of mobile clinic in Upper Kitete hoping for more patients today than yesterday. We swung by the ward to check on our two patients, the elderly Masai women with a stroke and the young boy with seizures. Our young boy with seizures isn’t do quite as well. We’re forging ahead trying to get him up on carbamazepine, but will decide tomorrow morning whether to load him on phenytoin as he’s continued to have a few seizures most days though his carbamazepine isn’t fully up to speed yet. He’s a very tough case where an EEG would make all the difference in the world – hear that Danielle? More later on this one. Off to Upper Kitete where there weren’t as many patients as last year, but we had some very good pathology. Our first case was a gentleman who supposedly had arthritic complaints and when he got up to go to the exam room it was clear to both Megan and me that he was walking with a spastic gait! He was a heavy drinker and we’re suspecting B12 deficiency, but need to get some other tests including a CT scan of the c-spine, but will wait for the other test results to come back first. 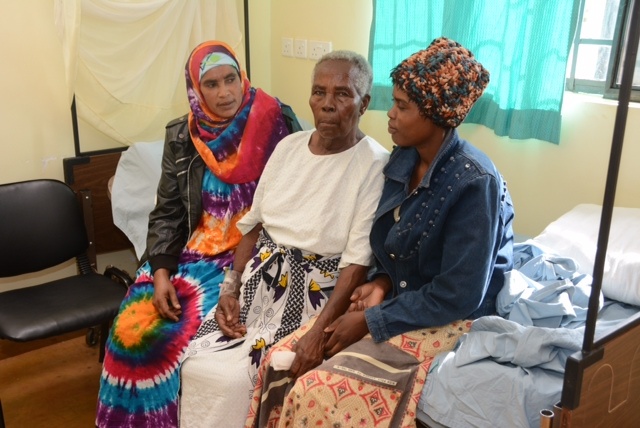 We saw several more patients including a wonderful old Bebe (elderly woman in Swahili) with a postural tremor who we put on propranolol as her BP was somewhat high and we could kill two birds with one stone. I played frisbee (or as Will has tried to train me to say, “threw the disc”) with the kids again today as my leg was somewhat better and I just made sure I didn’t make any sudden moves with my left leg. It is much better today. As we were finishing patients a huge storm began to role in with lots of lightening and heavy rains so we closed up shop and packed up as quickly as possible. 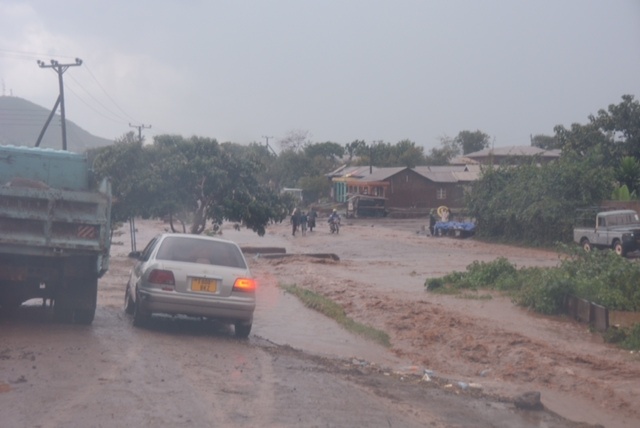 We escaped just in front of the heavy rains and managed to skirt around the storm, but it rained quite heavily for a very short period of time here in Karatu as evidenced by this photo of the street just next to the marketplace that was completely flooded. It’s times like this that make you appreciate the difficulty of living here. The clouds cleared and we had a lovely, albeit cold, evening for dinner with Joyce on her veranda and a quite evening to finally catch up on emails and reading. We had planned to go back to Upper Kitete tomorrow, but the volume of patients right now is low for some reason so we’ll work here at FAME unless we’re asked to go somewhere else. It’s disappointing not to have the same volume for this one clinic that we’ve had in the past, but there are many reasons why that might happen and one of them isn’t lack of need. We’ll be back and I’m sure there will be patients. Safari in Kiswahili really means journey so I guess technically we were on safari again today, but not in a national park. 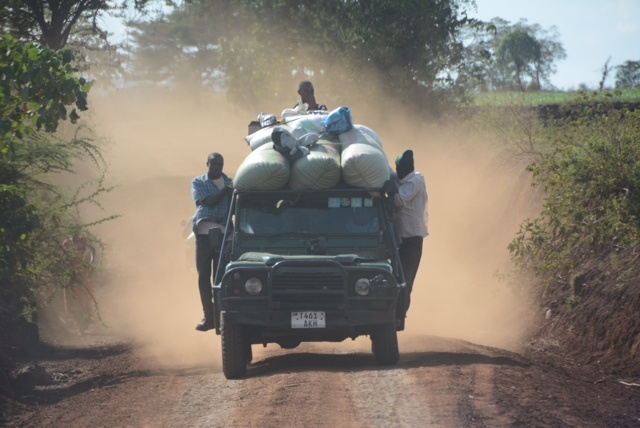 Our journey today took us to the village of Kambi ya Simba (Lion Camp) which is about an hour’s drive from Karatu and FAME. 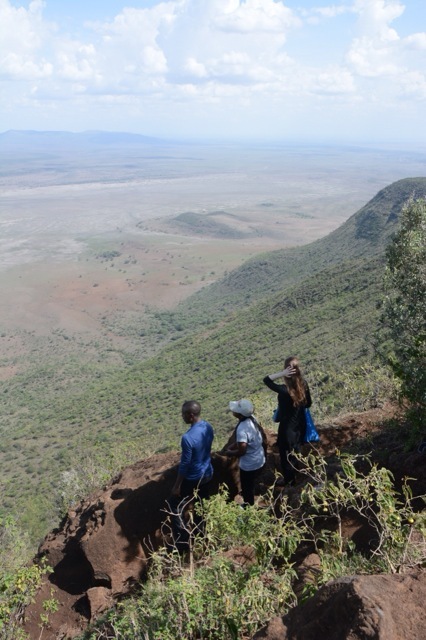 The village sits in a very fertile valley some kilometers west of the village of Rhotia and is on top of the escarpment of the Great Rift Valley and high above the Masai Steppe. I have been coming to this village for the last two or three years to do what I’ve coined as a “mini mobile clinic” in deference to the five day, near campaign style mobile clinic that we used to run at Lake Eyasi (where the Hadzabe or the last hunter gathers in Tanzania live) and whose funding ran out a bit over one year ago. This is why neurology mini mobile clinics have become an important part of FAME’s services and one of their main outreach programs. We arrived to the village to find a fair number of patients waiting for us, but it turned out to be a very manageable 21 patients which is pretty reasonable for neurologists to see in one day if Megan and I worked separately which was fine. Every patient we saw was totally appropriate from a neurological standpoint which is a great improvement over past clinics I’ve run. 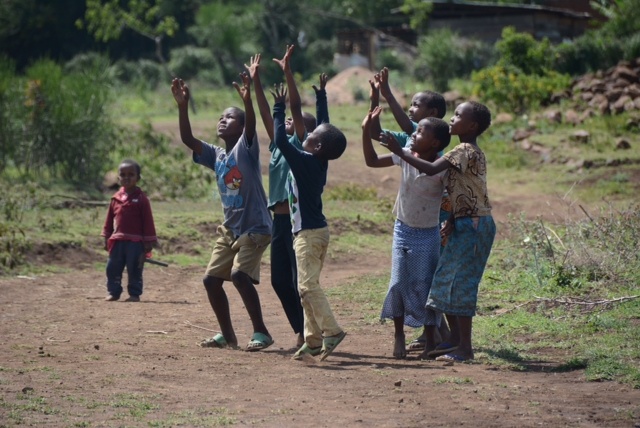 This is mostly because William, our outreach coordinator, has really worked hard to educate not only himself, but also the communities on what type of medicine we’re offering. We worked at Kambi ya Simba until around 4:30 pm and then left for home. The clinical officer there worked at FAME briefly and while we were seeing patients asked if William and I could come over to his house for a minute. I didn’t want to insult him and so we did go to visit him quickly only to find out that he had a huge spread of food for us along with his two infants. The only problem was that we had already eaten our lunch which meant that I had to manage to squeeze a second lunch so as not offend and dishonor his family. Good news regarding young Toby, the boy from Oldeani that we brought back to FAME with us on Saturday. As best we could tell this evening he hadn’t had any further seizures today which was a big step forward for him. The stroke patient was also moving her right leg spontaneously which means she may at some point be able to at least weight bear and stand on the leg. It’s late here and we’ve got another mobile clinic tomorrow at Upper Kitete which is further along the rift than Kambi ya Simba and takes nearly twice as long to get to. Hopefully more pictures soon when I get a chance to look at them. Today was a wonderful day. It had nothing to do with the fact it was my birthday (as I am unfortunately away from my family), but rather I am somewhere that I have come to love as a second home and doing something that I think is meaningful and helpful to others and enjoying every minute of every day doing it. 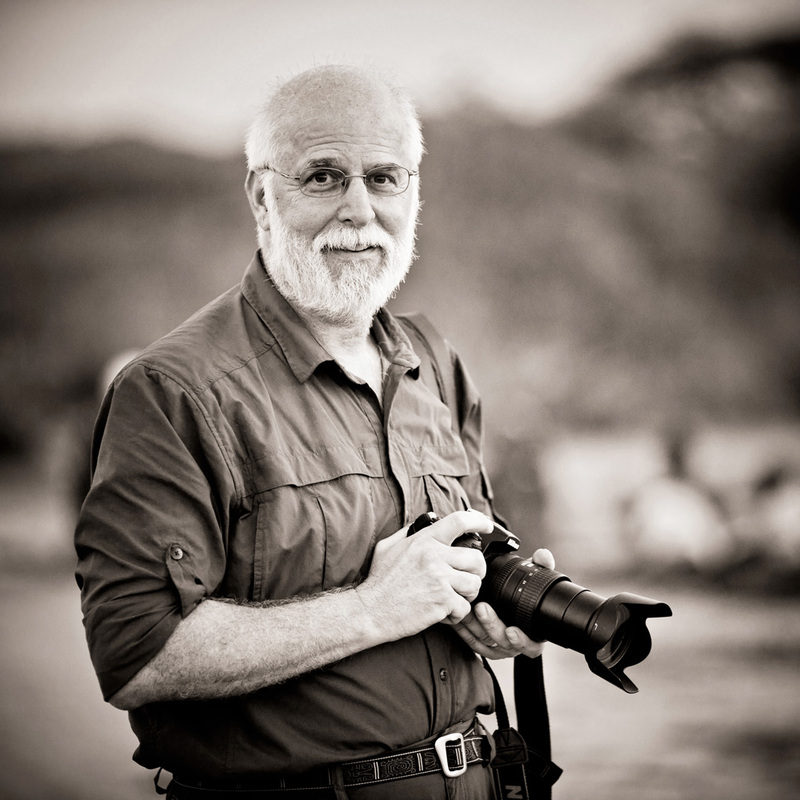 And while having all of that I am still able to get away and do several things that I also truly love – to drive on my own in East Africa, the cradle of humanity, and to take a group of friends on safari with me as their driver/guide to one of the most beautiful parks in Northern Tanzania. We got up very early so we could get to the park, but stopped by the hospital to see our young seizure patient only to find him having another seizure. We had to give him some more valium and reeducate the nurses as to what a non-convulsant seizure looks like and to treat it with diazepam. The weather for our safari was awesome. Not a cloud in the sky until the end of the day. We got through the gate at about 7:30 am and I think we were probably the first vehicle in other than the few tourists who had stayed at one of the two pricey resorts within the park. We immediately saw tons of monkeys – baboons, blue and vervet. They were just about everywhere and lots of little babies since this is the right time for them. We even saw a large group of blue and vervet youngsters playing together which is something none of had ever seen before. There were large herds of Cape buffalo, zebra and wildebeest and we got a good view of some hippos and their babies albeit from a distance (not nearly as close a view as Danielle and I had last March in the Crater). Then as we came around a turn there was a large female lion just walking right in our view and I think we all screamed. She walked into some bushes and we drove forward a bit but couldn’t find her. Just about that time another vehicle came from the other direction as we were backing up to the original spot and we told them what we saw. We looked for her once again and then went back again to the original spot and the other vehicle had spotted the pride sitting under some trees. There were eight in all and three of them were larger cubs! We sat and watched them mostly sleeping for quite a while. We came back later in the day but they had moved to another location by then. We eventually saw a number of elephants and giraffe along with many herds of impala, both harems and the bachelor herds. Lots and lots of birds which made Megan quite happy as she is definitely a bird person having a cockatoo at home as a pet. The large hornbills were fabulous. We eventually left the park at 5:30 – ten full hours of safari! The young boy in the ward had three seizures during the day which broke with valium and we’ll reassess him today. In between his seizures he’s awake and normal. We’ll have to get him under control soon.